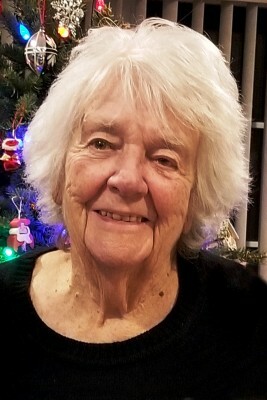 Passed away at Georgian Bay General Hospital, Midland, on Tuesday, January 15, 2019. Jean Robinson of Hillsdale, in her 90th year, much loved mother, 'Ma', of Bill (Marcella), Paul (Brenda) and Linda (Peter) Courchesne. Cherished G-Ma of 12 grandchildren and 15 great grandchildren. Predeceased by her husband Arnold Robinson. Friends may call at the Lynn-Stone Funeral Home, Elmvale, on Thursday, January 17th from 7 to 9 pm. Funeral service in the chapel on Friday at 10:30 am. Spring inurnment at Allenwood Cemetery.